Bayview Village Wellness Centre is a multi-disciplinary natural health facility. 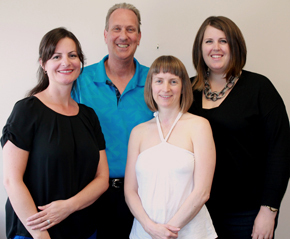 Established in 1981, we offer natural chiropractic care, massage therapy, acupuncture and naturopathy. Our goal is to help our chiropractic patients create improved health and overall wellness for a lifetime. If you are experiencing back pain, neck pain, allergies, headaches, or any other symptoms, you’ve come to the right place. Rather than simply treating symptoms, we locate the underlying causes of your health problems so that we can address them at the source. People of all ages are welcome at our family-oriented clinic, regardless of the current level of health you are experiencing. As a new patient, you will have your own unique treatment plan tailored to you based on your history, X-ray results and examination findings. Our convenient location in the Bayview Village Shopping Centre is on the subway line and easily accessible via public transportation or by car. We’re open from 7 a.m. to 7 p.m., Monday to Friday, Saturdays 9-4 and Sundays from 12-5. Find out how our caring team of chiropractors can help you. 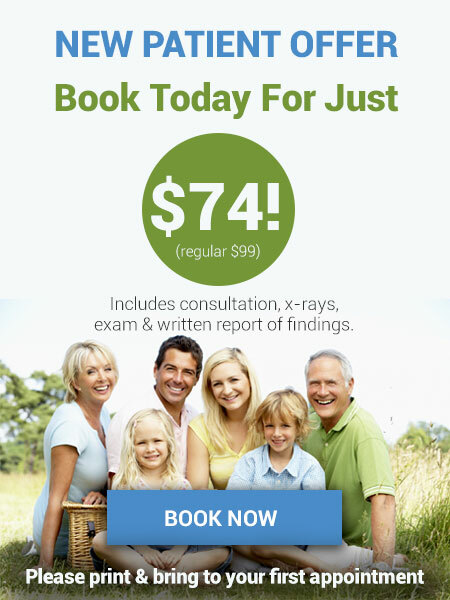 Contact us today to book an appointment today and save $25 – book your new patient appointment for just $74!